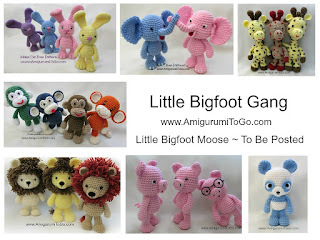 I introduced Art the big moose (13 inches tall) to you already and today I bring you Jordy, the newest member of the Little Bigfoot gang! He's 9 inches tall. I wasn't planning on making Jordy but today is one scorcher of a day and my youngest son isn't feeling the greatest so we're hiding in my living room with our wonderful air conditioner. Moose ~ pattern now available! I love all you patterns. Thanks bunches for sharing. Do you allow somebody sell the finished project as long as they have a link or notice with you sites name on it? It free publicty. for sure! Finished items can be sold. Although it's nice, I don't require a link back. 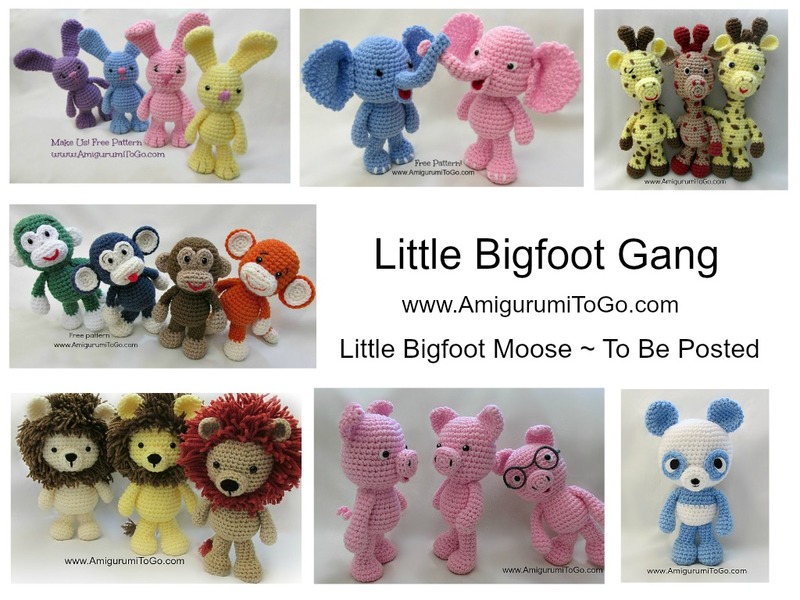 I have no claim on finished items made from any of my patterns, I only have claims on the patterns themselves. 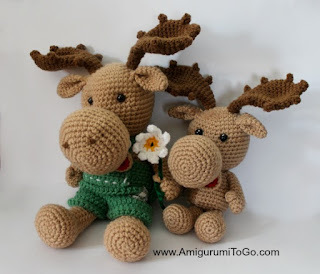 I made the large moose for my sister-in-law because she collects them. I've never before made anything like this He turned out wonderful and she absolutely loves him! Thank you do much for the pattern. I'd love to send you a picture but I couldn't figure out how. You are so very talented and I am so grateful that you have made your wonderful patterns available. My grandchildren have all picked out what they want me to make them.